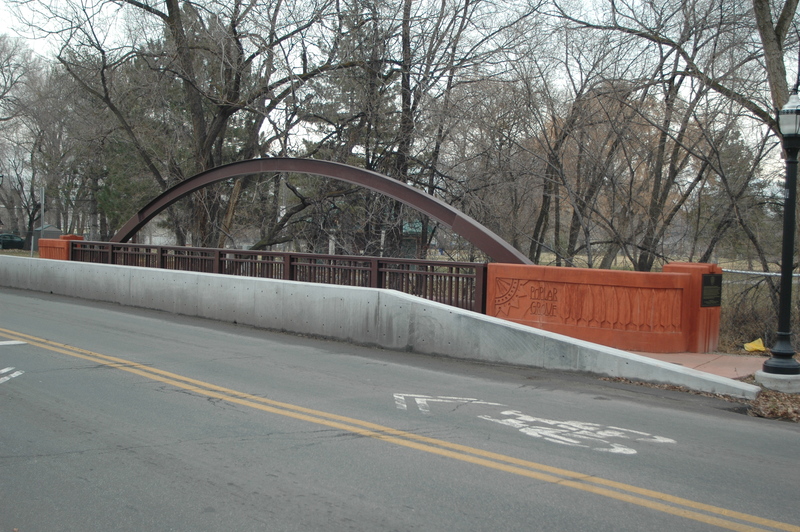 The Indiana Bridge, located at 800 South 1000 West, crosses over the Jordan River and serves as the north south connection for the high volume, multi-use Jordan River Trail. The Indiana Bridge was built in the 1940’s and was originally designed in the Federal Style of Architecture. Reminiscent of many Post Offices and other large architectural forms built by the Government in this same Era, its design is still significant and appealing today. 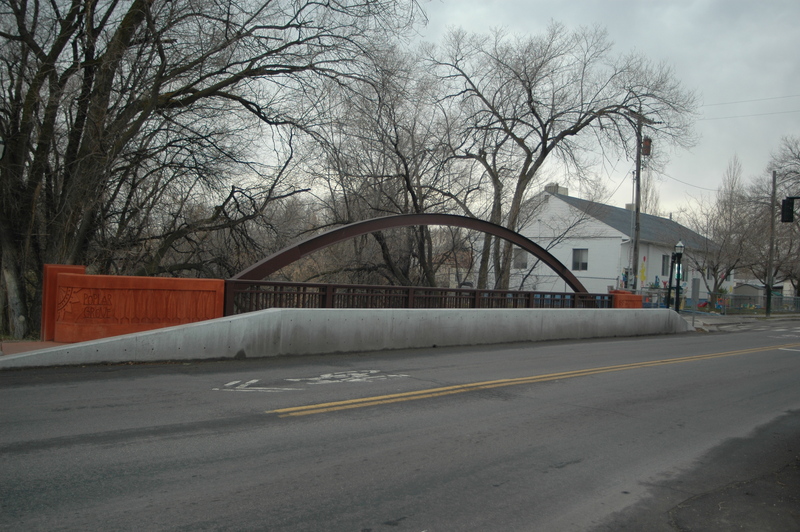 For the rehabilitation of Indiana Bridge, artist Cordell Taylor decided to restore and rebuild this bridge to it’s original design with added elements to enhance its significance in and for the surrounding neighborhoods. 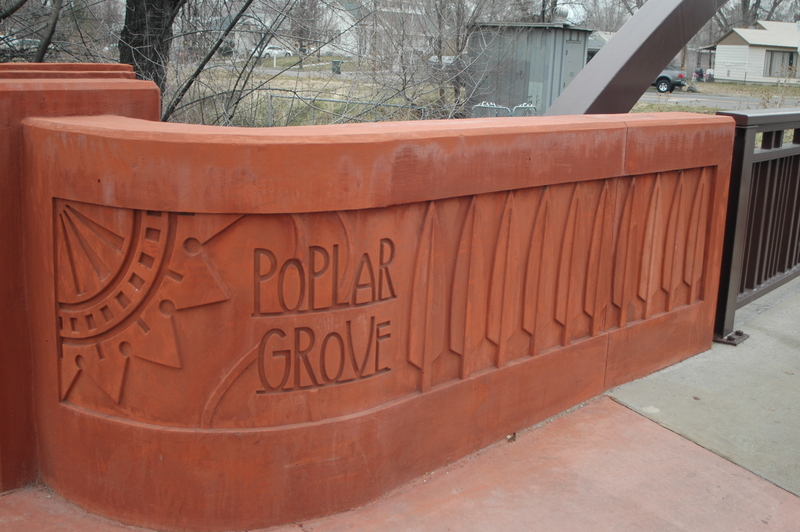 The original steel railings have been reused and the cement end-rails and buttresses have been recast in the same/similar style but with graphics that represent the Poplar Grove Neighborhood. 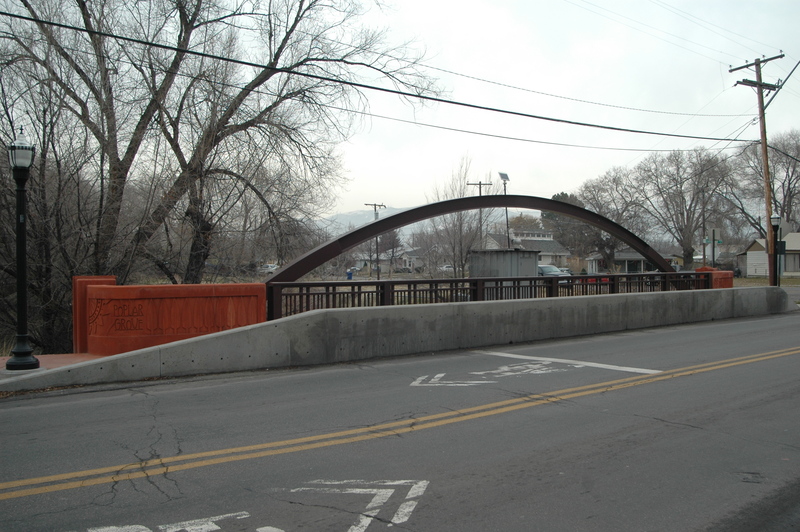 The coloring of the cement end-rails and Buttresses and Sidewalks are a Sonoma Orange typical of Utah’s landscape and bright enough to stand out as a gateway to this neighborhood. The Graphics depict a Grove of Poplar Trees in the light of a burgeoning Sun, a Ribbon of River meandering through a central meadow, and “POPLAR GROVE” is overlaid onto it identifying the Neighborhood. A large steel arch has also been added to each side of the bridge to echo its significance as a river crossing and street lighting of the same period has also been added to enhance the design of the bridge and make the pedestrian crossings more visible to oncoming drivers. 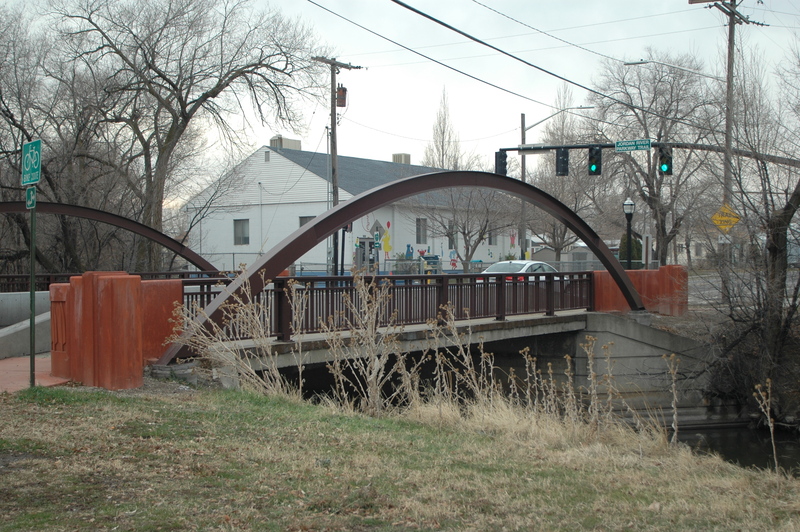 It is the artist’s hope that the bridge’s re-design and re-enhancement will help bring vitality to the Jordan River, the Trail, its users of this community. 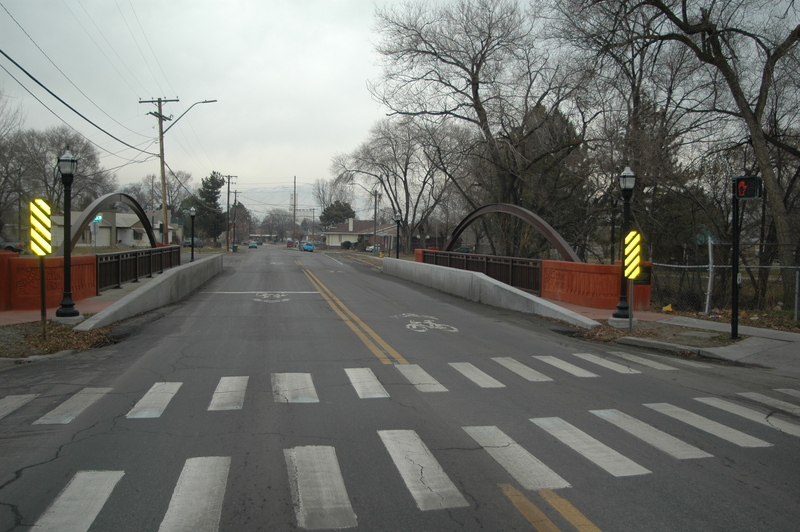 This public art project was funded through Salt Lake City’s Public Art Program. Special thanks to the Salt Lake Art Design Board, the Salt Lake City Arts Council, Salt Lake City Corporation, and members of the Review Committee for their assistance with this project.